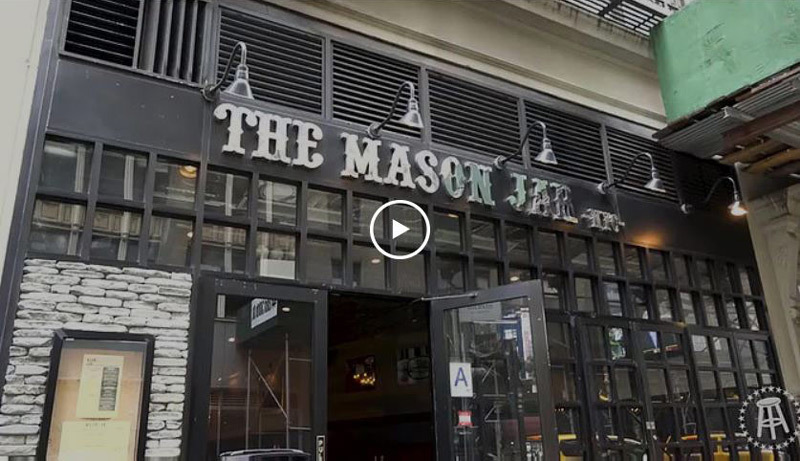 Opened in 2010, Mason Jar NYC has always been about experiencing world-class BBQ, a plethora of craft and imported beers on our 30 rotating draft lines, and the finest bourbons available, all in the heart of New York City. We treat every dish as a home-cooked meal, and tread every customer like a guest in our own home. Great place to grab a beer with co-workers after work, or just with a friend! Love watching sports there as well. Food is outstanding, great atmosphere. I highly recommend the french onion soup special when they have it! Man do I LOVE Mason Jar. That seared Pork chop special is absolutely to die for. If my life were to come to an end today, you can find me at Mason Jar for one last brunch. 5 stars! Would recommend! Great for lunch, post-work drinks, and happy hour. Staff is borderline too friendly which throws you off given which city we&apos;re in. Staff also remembers faces and more importantly, drink orders... If you happen to feel strongly about University of South Carolina sports you&apos;ll never go to another bar again. 6/5 stars.